At FlyMasters we strive to have the best fly fishing gear and equipment in the business in our shop for our customers. However, just having the best gear does not make anyone the best fly fisherman. That is why we also have excellent education programs to help our customers learn all they can about fly fishing and enjoy their time on the water as much as possible. 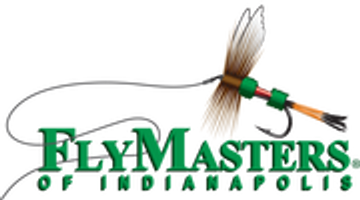 If you are looking to learn to fly fish, then look no further than FlyMasters of Indianapolis. We have the only Fly Fishing School in the state of Indiana. We have been teaching people to fly fish since 1990 and each year have hundreds of people attend our school and learn to angle with a fly. A big part of what makes our school so sought after is that it is a formal school and not just a class. Many fly fishing classes or clinics consist of a one-time event that can be anywhere from four hours to eight hours in a day. The problem with this type of class is that 80% of what you are exposed to you forget within a few hours and you are often left with more questions that answers. Our Fly Fishing School is done in three phases and except for the first phase all revolve around your schedule. Plus, Phase II and Phase III are all one on one sessions so the information that is passed on to the student is relevant to the particular student and not a "general" group. Our Fly Fishing School page has all the information on the class and links to sign up online. In addition to our Fly Fishing School, we have many "Fishing Clinics" throughout the year. The clinics are designed to work on specific skills that fishermen and women want to learn more about or perfect. These clinics could be how to fish nymphs, how to fish poppers, techniques for fishing sinking lines, or how to cast a two handed rod. We take our cue from our customers in terms of what people are showing an interest in or what is new to fly fishing in terms of what clinics we schedule. One of our goals at FlyMasters is to provide the best knowledge and experience for our customers and having many fly fishing educational options is one of the best ways to meet that goal. For many people learning to fly fish is only the beginning of their life spent pursuing fish on a fly. For many, the next step is to learn how to tie your own flies. It is a great feeling to catch fish on something you tied yourself and an even better feeling when it is on something you created yourself. Our Beginning Fly Tying School is designed to take the complete novice from just having an interest in fly tying to tying their own flies in four weeks. Plus, our class is not just about tying flies but it is about the volumes of information that are inherent to fly tying. Following a simple recipe to tie a fly is not all that difficult but understanding why the hook was chooses and the various materials are used in that fly opens up endless possibilities for creating your own flies. All the tools and materials are provided in the school and if you would like to see all the details about each class in the school as well as a video on the first fly you will tie than head over to our Beginning Fly Tying School Page. Teaching people about fly tying and not just how to tie flies is what FlyMasters is all about;sharing our love of all things fly fishing.